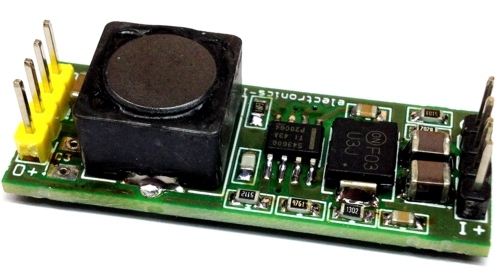 This is a 60 V 3A step down DC-DC converter. 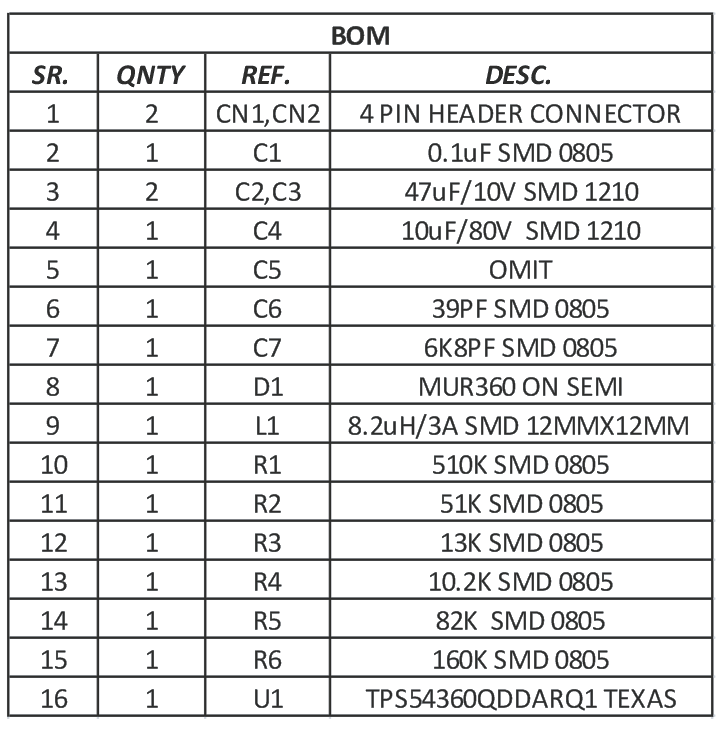 Sample applications are: 12 V, 24 V and 48 V Industrial, Automotive and Communications Power Systems. 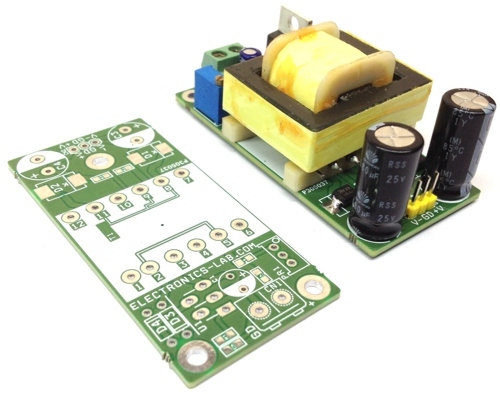 The TPS54360 is a 60 V, 3 A, step down regulator with an integrated high side MOSFET. 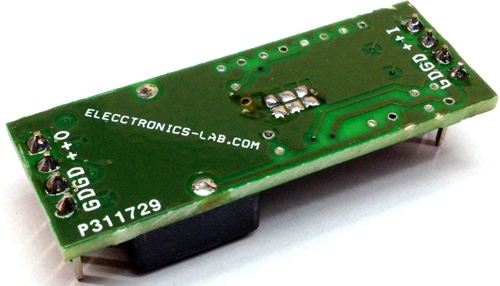 The device survives load dump pulses up to 65V per ISO 7637. Current mode control provides simple external compensation and flexible component selection. 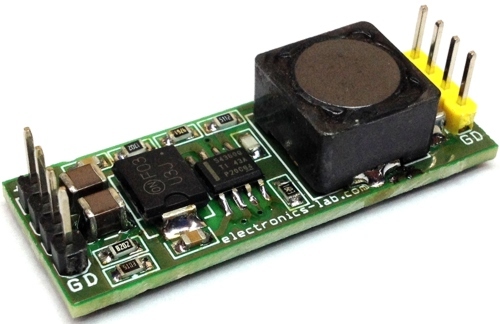 A low ripple pulse skip mode reduces the no load supply current to 146 μA. Shutdown supply current is reduced to 2 μA when the enable pin is pulled low. 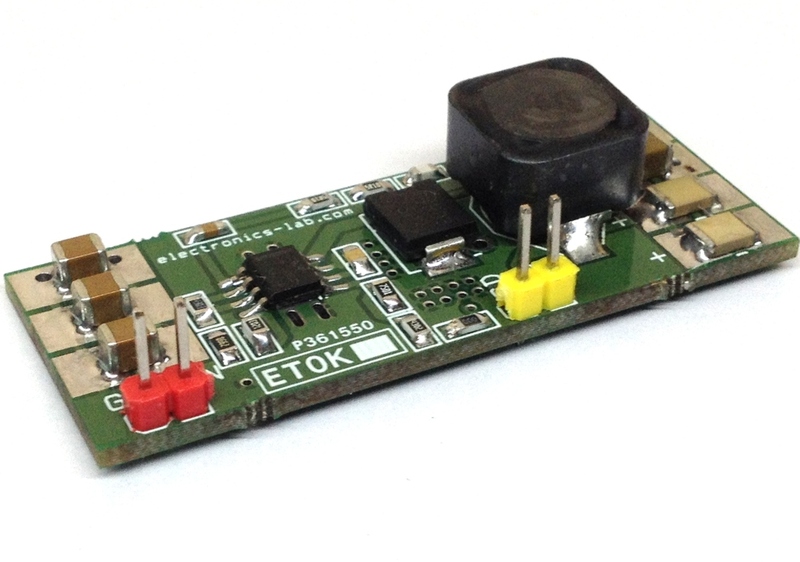 Under voltage lockout is internally set at 4.3 V but can be increased using the enable pin. The output voltage start up ramp is internally controlled to provide a controlled start up and eliminate overshoot. A wide switching frequency range allows either efficiency or external component size to be optimized. Frequency fold back and thermal shutdown protects internal and external components during an overload condition. Note: The output voltage is set by a resistor divider from the output node to the FB terminal. It is recommended to use 1% tolerance or better divider resistors, choose R2, R4 for other output voltage. 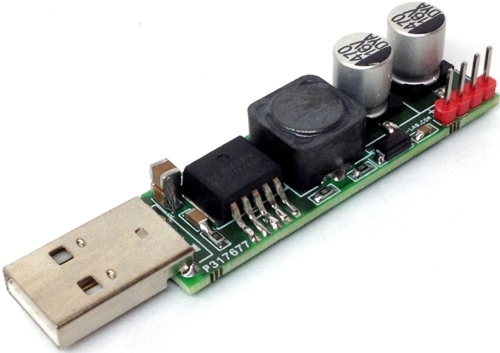 This DC-DC converter has some thermal issues and we suggest not to build it until this message is removed. It can only provide 1A within safe temperature margins. Hi How to order this? We can manufacture this if order quantity is >25 pieces. If you are interested use the contact us form.